Sandium Heating and Air Blog: Insulation - What Types Are Out There? Insulation - What Types Are Out There? Insulation is the phenomenon of slowing down the flow of heat, electricity or sound. Insulation can be used both to prevent heat gain and heat loss from the surrounding. Most electrical appliances use insulation technology like Refrigerators, freezers and Heaters. Insulation should be installed in the areas between heated and non heated space. One of the main applications of insulation is house insulation. An insulated home is more energy efficient, requires less maintenance and is more comfortable as the temperature remains uniform over weather changes. Insulation at home helps in saving energy and reducing utility bills. It makes the house more comfortable. Insulation at home not only helps in keeping the house cool in summer and warm in winter but it also prevents damage from leaking water and provides a good thermal resistance. Insulation is very useful to keep the temperature of the house independent from outdoor temperature. Insulation at home helps in saving energy and reducing utility bills. It makes the house more comfortable. Insulation at home not only helps in keeping the house cool in summer and warm in winters but it also prevents damage from leaking water and provides a good thermal resistance. Insulation is very useful to keep the temperature of the house independent from outdoor temperature. 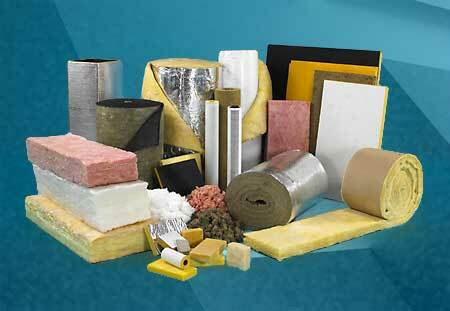 There are many types of home insulation available. All the different types of insulation have their pros and cons. They are mainly differentiated based on the material used for the insulation. They can be separated into Plastic foam, rigid board, reflective, loose fill, batts and blankets and blown in insulation etc. Foam insulation is performed by pouring the liquid foam from a container. Foam insulation is a bit more expensive than batt and blanket insulation. Foam insulation is convenient to install while constructing the house rather than going into already built structures. As the foam insulation used to be air tight , it is not generally recommended for attic insulation. Spray foam insulation is used to insulate the walls and ceilings do keep the house warmer during cold weather and to keep it cool in summer. Spray Foam insulation is a bit more expensive than Fiber glass insulation. This type of insulation can reduce utility and repair bills as your house is naturally warmer and free from bugs due to the insulation. Spray form insulation lasts longer than other types. Ductwork Insulation is used to insulate ducts and hot and cold water supply pipes, water heaters and air conditioners etc. to control the temperature of air and water. It is not that expensive but can help in high energy and cost saving. Attic insulation is a must in any house to have comfortable room temperature. A house should have an attic that has a room temperature close to the outdoor temperature. Attic insulation would not be adequate if there is not a sufficient amount of it or it has gotten wet or has become less effective due to gaps or damage in insulation. The houses that have a warm surroundings and environment can have R38 insulation while a house in a cold climate can have R49 insulation. Eric Comforth is a consultant who writes on many consumer topics.There's plenty more insulation information at Sandium.com. Thanks for the great info on insulation minneapolis! I appreciate your insights as I had no clue that there were several types of insulation! This is great information. I have been doing research on Lynchburg foam insulation services, when I came across your post. Thanks so much for providing me with a great understanding to different types of insulation. It's really a great article you have shred about insulation, insulation is really a crucial thing for homes, i agree with your point hat an insulated home is more energy efficient, requires less maintenance and is more comfortable as the temperature remains uniform over weather changes. It can keeps home warm in winters and cool while summer, so home owner don't have to pay much on electricity bill. I was wondering for the different types of insulation if the cheaper ones are worth to get? Would it be better in the long run to get the most expensive or no? Thanks for the post, and I know that this might seem like a shot in the dark for asking but I was wondering if anyone knows of any good insulation companies in Burlington that they would recommend or any that they know of. use a services for roof insulation. insulation. I am looking for an expert in foam insulation in Toronto. Does anyone know of one? foam insulation is a technique, who makes your home hot in winter. The roof insulation is the best way to cut out your electricity bills.